Angels Love and Light : The Importance of Every Soul on Earth. The Importance of Every Soul on Earth. Each and every person on earth is of huge significance. Never underestimate your power, your reason for living. Your energy/presence here on earth is so needed. Just be yourself; that is all that is asked of you. You are a teacher for others, you are also a student. As you learn more and more about yourself, you will be teaching others as you go along. Teachers will be sent to you as you need them. ALWAYS aim to be the BEST you, and you will be fulfilling your mission here. At some stages you will be pressing other people’s buttons to help them be the best them, but you don’t have to stay in that teaching place. You can graduate and move onwards and upwards. When you fall into your old ways, don’t criticize yourself, there are many reasons for it. Get up and start again. The thing is, you won’t be starting again, you will be starting on the step you were on, before you fell!! Another thing to remember – there are no coincidences, there are no wrong moves, there are no mistakes. Everything is in Divine and Perfect Order. When you think you “made a mistake” check back on it a few months later. Was it really a mistake? Where has it brought you and others? What have you learned since then? Your greatest teachers are those you see as “hard work”. See them as a gift. Let go of the anger, criticism and blame. What can you learn from this person? How can you change yourself and your reactions? It is truly all about you, not the other person. As I said before let go of criticism and in this instance, criticism of yourself. You are here to learn and grow but you are also here to continue your family’s role in the greater scheme of life; to change the energies of this planet, from hatred, fear, doubt, blame, criticism, resentment to love, happiness, joy, peace, contentment and gratitude. You can do it, we can all do it. By aiming to be the BEST you and to bring the best of you into the world, that is how you will help change it. ALWAYS trust your “I just know” feelings. They are your guide. That is how your ancestors, spirit guides, angels, ascended masters and teachers who have passed, work with you. You will have the teacher you need, for the attributes that you need, when you need them. You are never alone. 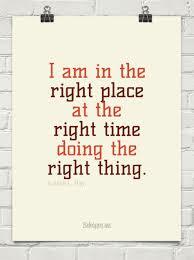 You are never in the wrong place at the wrong time. Everything is ALWAYS RIGHT. There are no mistakes, there are no coincidences, and there IS a higher power at work in your life. Did your “I just know” voice always tell you that? Is that voice getting louder? I do hope so. If not, there is a right time for that too.